I remember horribly mispronouncing this popular breakfast bowl when I was younger, calling it an “ah-khai” bowl instead of “ah-sigh-ee”. After that embarrassing incident, I made a mental note to stay away from ordering acai bowls. 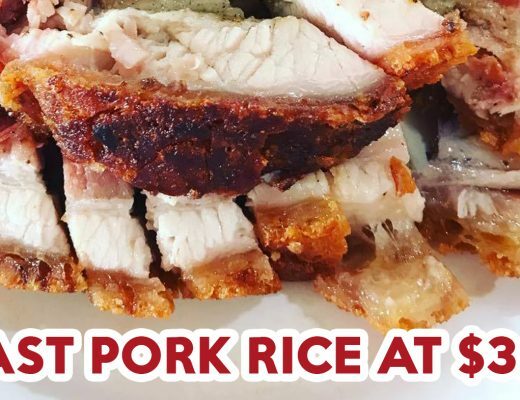 Fast forward to today, the nutrient-dense and incredibly healthy dish has become my favourite alternative to ice-cream, especially since it doesn’t give me a sugar slump. 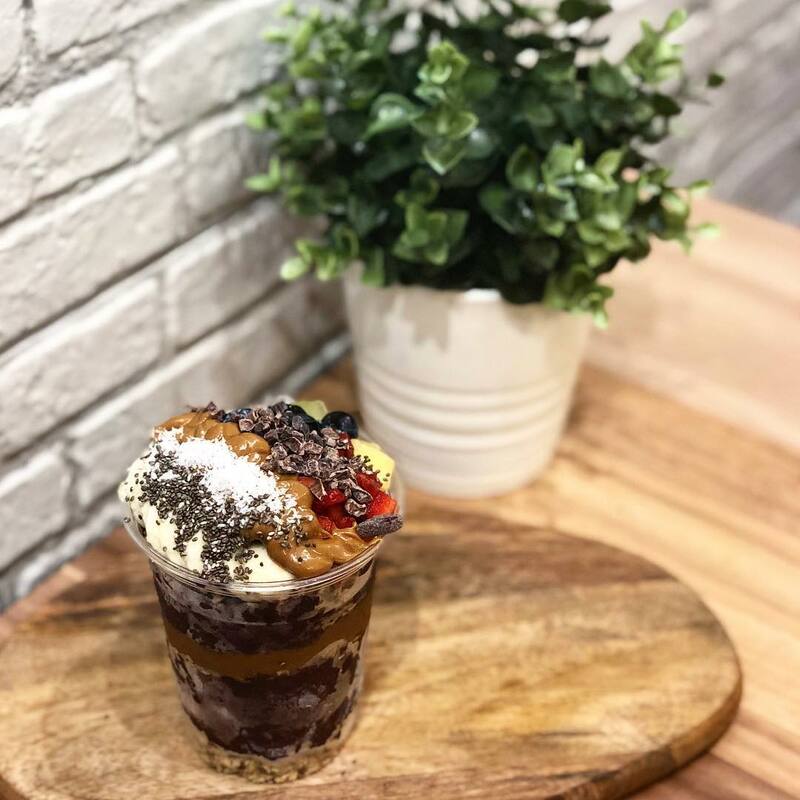 While Nalu Bowls in Bali still holds first place in my heart for the best acai bowl, I’ve narrowed down the next 10 acai cafes in Singapore that serve up a smashin’ acai bowl that could possibly rival Nalu Bowls’. 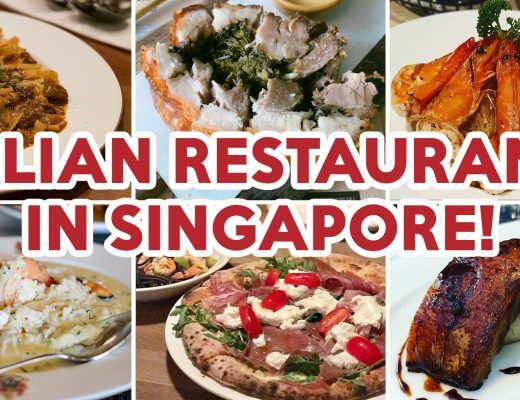 Situated within the lush greenery of Singapore Botanic Gardens, JUJU is an ideal place for a short respite from the heat. 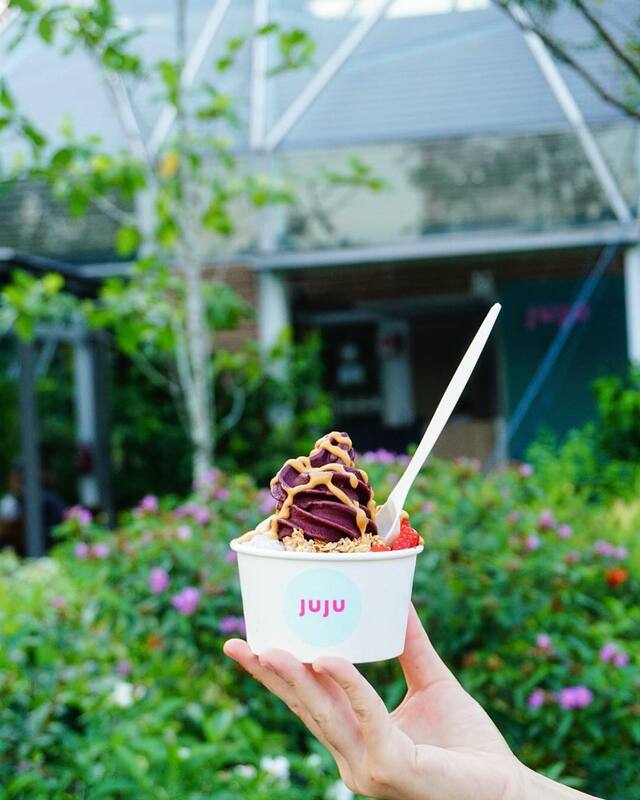 Unlike most acai shops, JUJU’s signature Acai ($8.50/$12) bowl has a texture similar to that of froyo – think refreshing, icy and creamy, but without the added sugar. If you’re craving for something slightly more decadent, the Chocolate Oat ($8.50/$12) is a stellar choice as it combines dark chocolate, Medjool dates, oats and pink Himalayan salt for a tasty sweet treat. An Acai Affair is one of the #OG acai cafes that won me over with their concentrated acai blend. My go-to order is Triple A ($5.90/$8.90/$13.90) – a cup of no-frills acai layered with fresh fruits, granola, and superfoods like desiccated coconut and goji berries. If you’re loco over coco, Coco Glow! 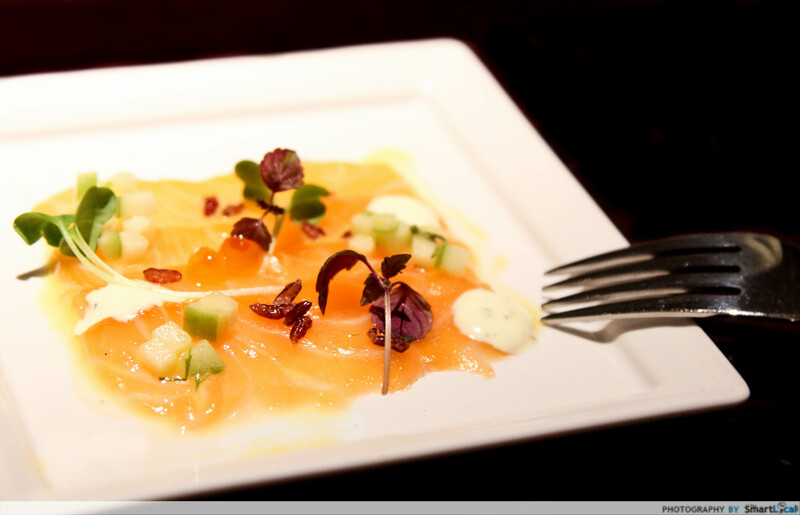 ($5.90/$8.90/$13.90) comes with an additional scoop of refreshing coconut sorbet. All acai bowls also come with your choice of honey, peanut butter, almond butter or cookie butter – I’d recommend cookie butter if it’s a cheat day for that sneaky little bit of extra sweetness. 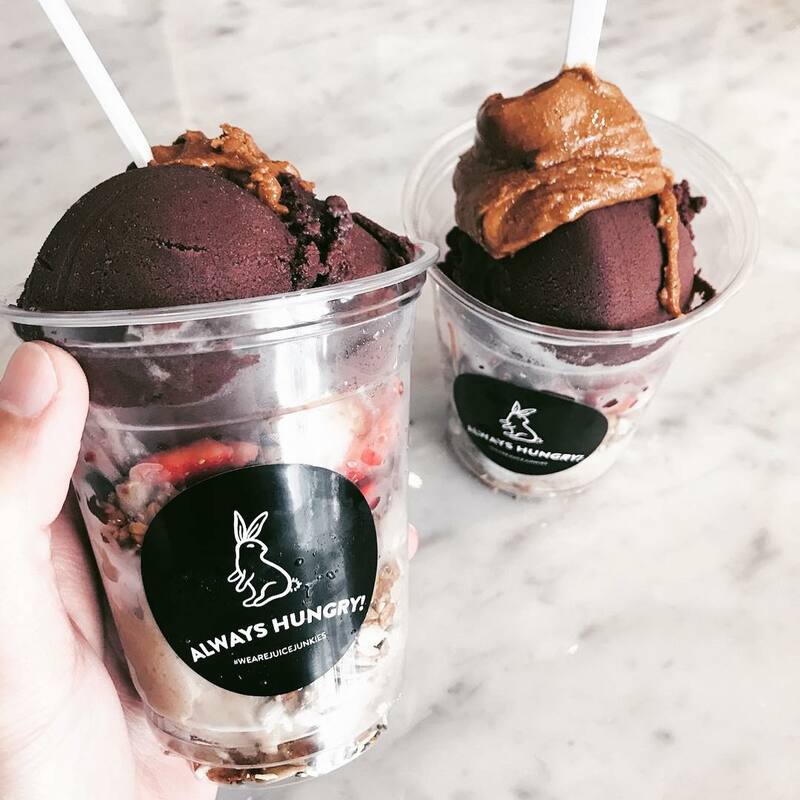 Though more well-known for their cold-pressed juices, Juice Junkie dishes up bangin’ acai bowls too. Funki Monkey ($12) comprises a measured scoop of frosty acai, vegan banana “nice cream”, house-made granola clusters, fruits and a generous drizzle of almond butter. Do take note that seats are extremely limited in this tiny cafe, so be prepared to simply grab and go. Situated along the same street as An Acai Affair, Beriwell’s acai bowls are served soft-serve style with a creamier consistency. 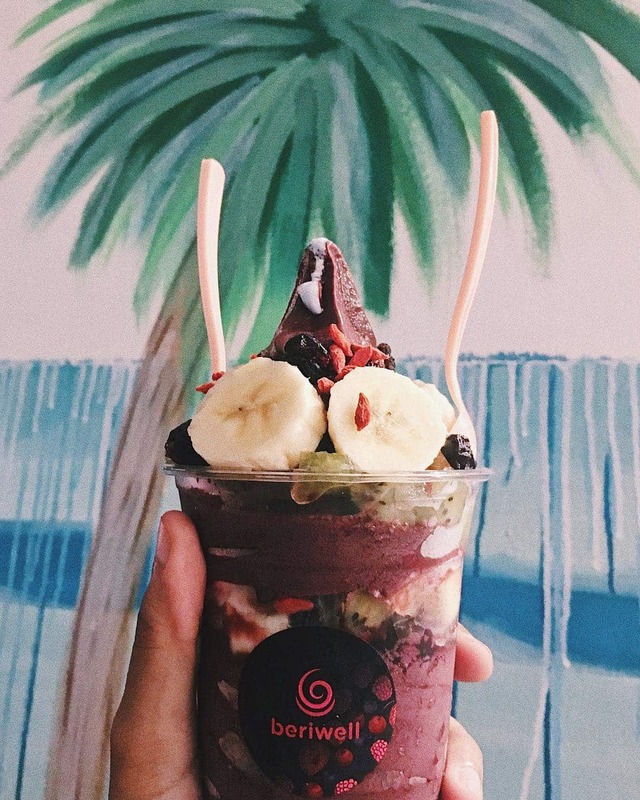 For first-timers, The Twist Superswirl ($6.90/$13.90) brings you the best of both worlds – a mix of acai and spirulina-infused coconut soft serve topped with either two or four toppings, depending on your bowl size. Toppings include a variety of options such as fruits, granola, cacao nibs and chia seed. 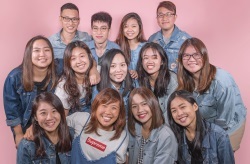 Located conveniently in the east, The Good Boys offers quick and healthy meals for those on the go. Besides being both vegan and gluten-free, the TGB Acai Bowl ($12) also comes with house-made toasted muesli above a fruity blend of acai, frozen bananas and mixed berries. 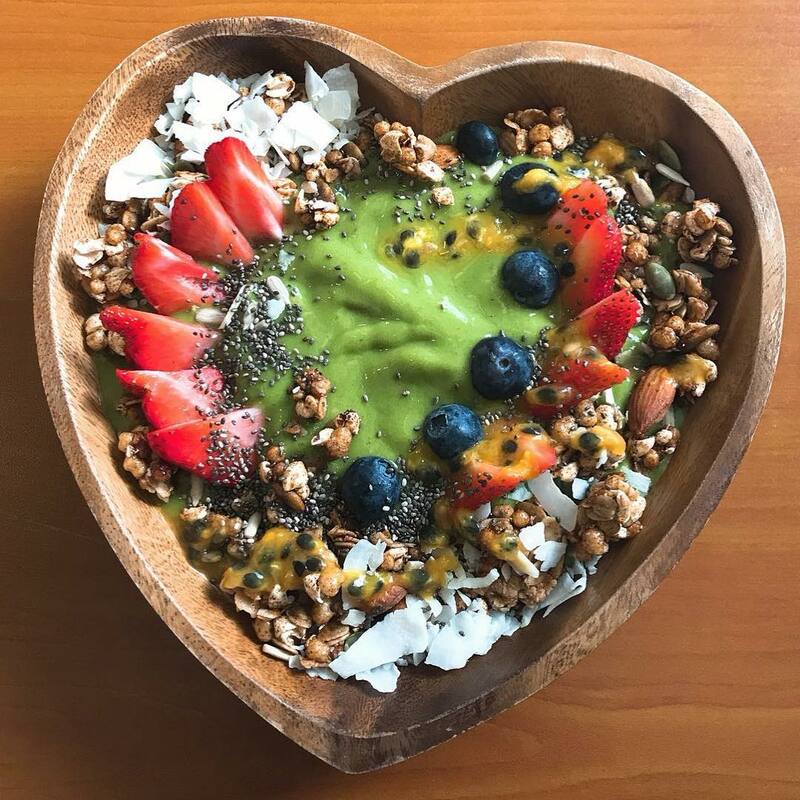 Fruity Matcha ($12) is another customer favourite, and is served with a base comprising Japanese matcha powder, pineapple, spinach and mango, topped with passionfruit, shaved coconut, muesli and berries. Tucked away in the CBD, Parallel shares the same space as Common Man Coffee Roasters and dishes up simple and fuss-free acai bowls with no added sugars. A crowd-favourite is the Superstar Bowl ($8.90/$12.90) featuring nutty granola clusters, blueberries, sunflower seeds and chia seeds. For a protein-packed bowl with more crunch, opt for Amino Bowl ($8.90/$12.90) that comes with pumpkin, sunflower and chia seeds along with the usge. 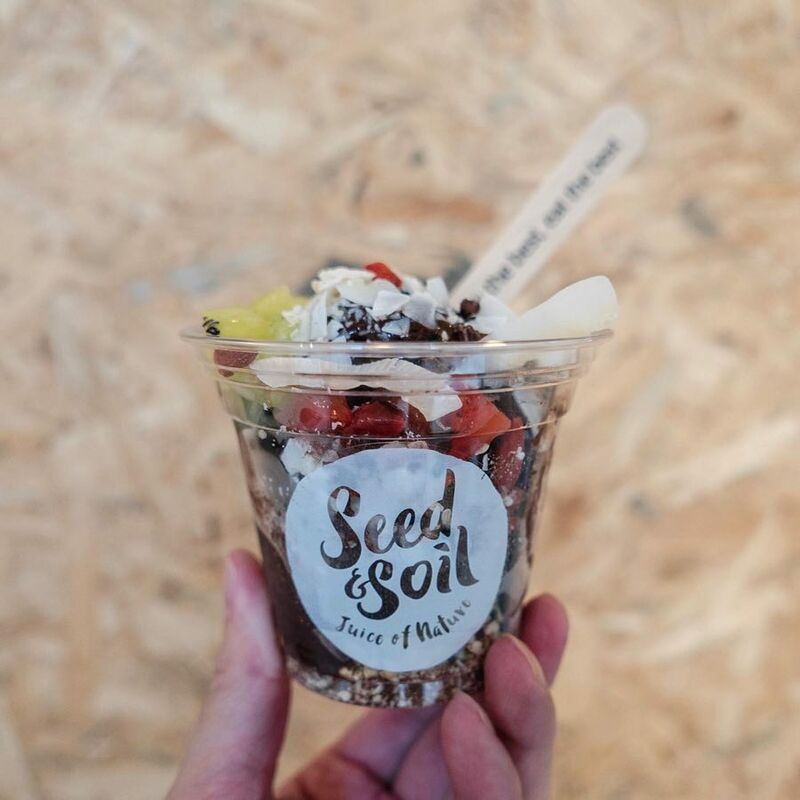 If you like your acai gao and extra tangy with a mild chocolatey aftertaste, Seed & Soil should be on your to-go list, as they serve their acai blend just as it is without mixing it with other fruits. Acai Bowl ($10/$12/$15) is served as a stunning deep purple scoop of acai, decorated with toppings like dried mulberries, dragon fruit balls and goji berries. For a higher hit of protein, Cacao Warrior ($8/$10/$12) is a great option as the base is a blend of peanut butter, raw cacao powder and bananas – the ideal post-workout fuel. 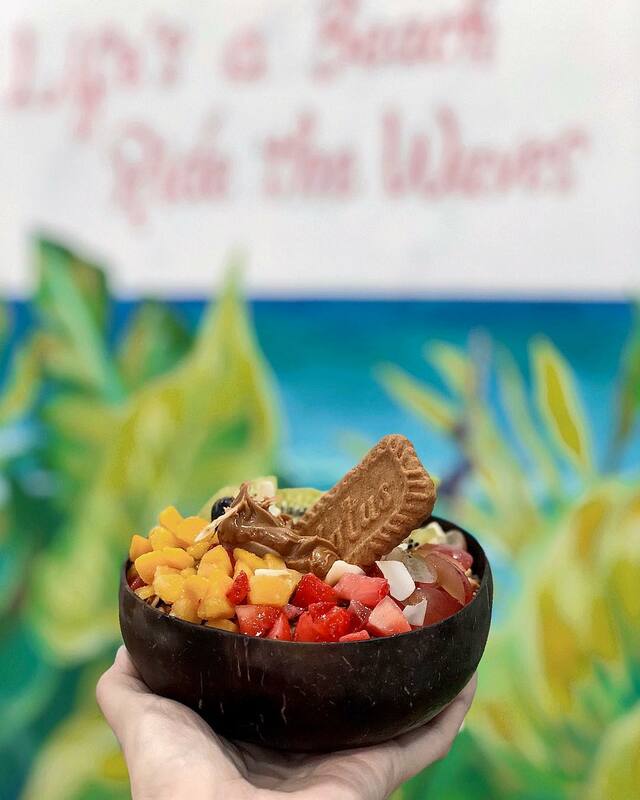 Situated conveniently in town, Acai Beach Club is the place to head to if you’re craving for an acai bowl with a greater toppings-to-acai ratio. 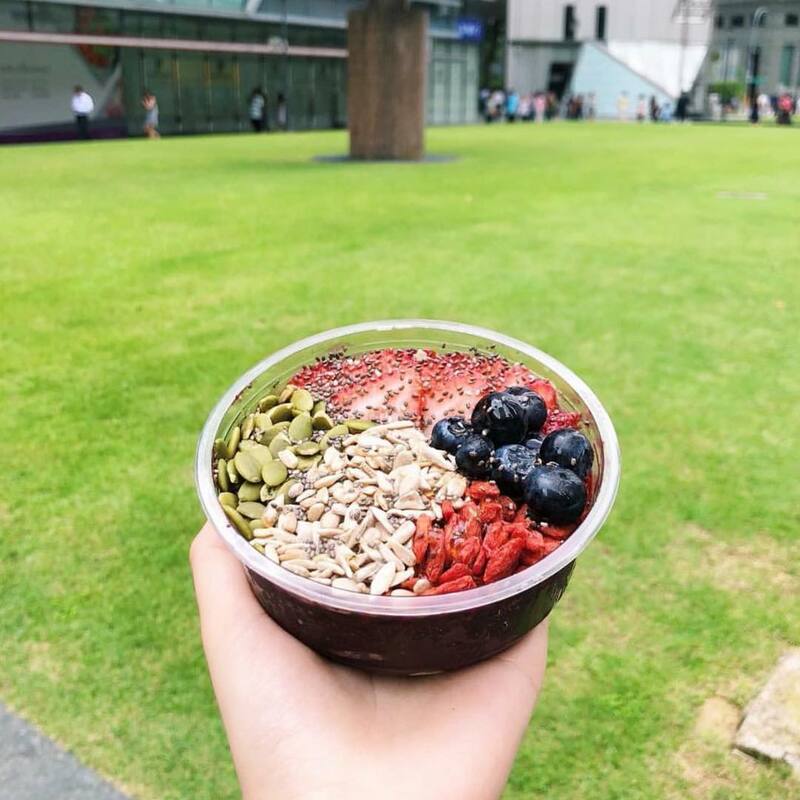 Shiok Bowl ($14.90) lives up to its name with a smooth acai base topped with a generous amount of granola, fresh fruits, chia pudding and nuts. Each bowl comes your choice of drizzle such as honey, cookie butter and almond butter. 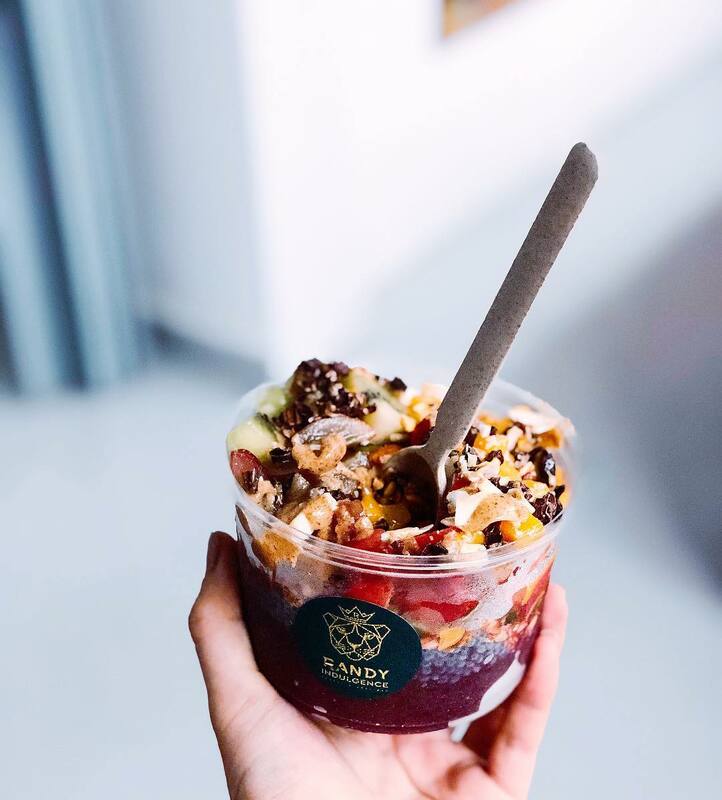 Don’t let the name fool you – there are zero indulgences at Randy Indulgence – a healthy cereal and acai bar. 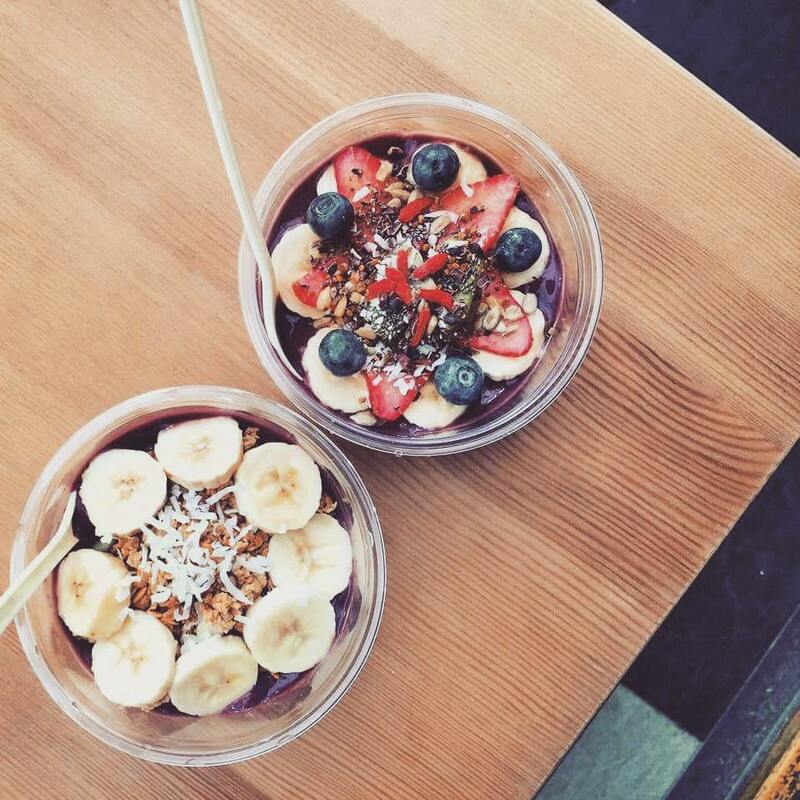 They serve their acai two ways: Protein Bowl ($7.90/$9.90) and Fruity Bowl ($7.90/$9.90). Have a taste of each with the Combination Bowl, which allows you to try both flavours with a top up of $2. If you’re looking for something with more oomph to quell your aching sweet tooth, Fruit Ice Cream ($6.90) allows you to choose a nice “cream” base, including flavours such as mango and blueberries. Then top it off with your choice of two cereal options, one fruit, and chia seed pudding. Absolute Acai pride themselves in serving up Brazilian acai bowls made with only the freshest ingredients and zero added sugars. Their Signature Bowl ($7.50/$9.50/$15.50) comes with their unique creamy and slightly tangy acai blend, topped with a plethora of fruits and superfoods such as pumpkin seeds, cacao nibs and goji berries. An option to DIY your acai is also available; the base prices depending on the size of the bowl ($4.90/$6.50/$9.50) chosen. Toppings available for the DIY bowl are split into dry ($0.50), nuts ($0.80), fruits ($1) and superfoods ($1.50). Acai bowls, in my opinion, still remains as one of the most aesthetically-pleasing breakfast to put on the ‘gram. Plus, extra bonus points for its major health benefits! Leave us a comment down below if we’ve missed out on your favourite acai cafe, or let us know what your favourite acai toppings are! Loves a good brunch, people-watching, watercolour painting & Shel Silverstein. Gets anxious when it comes to math & dealing with ill-mannered humans.